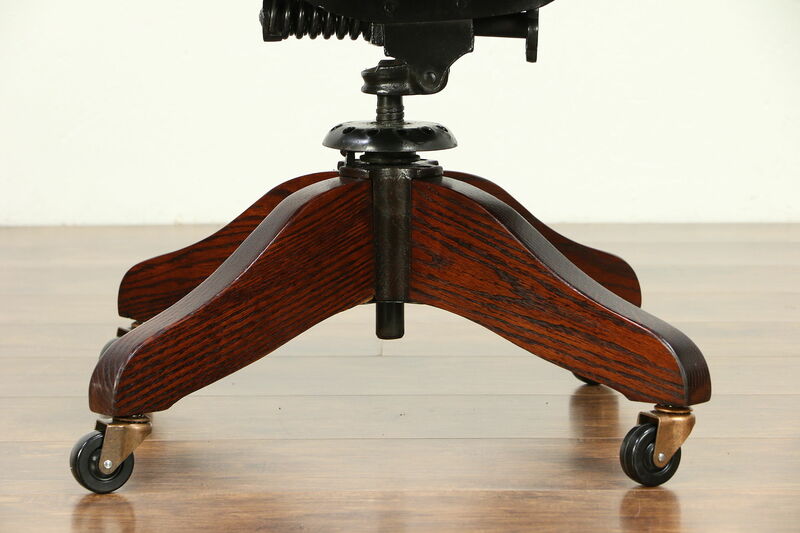 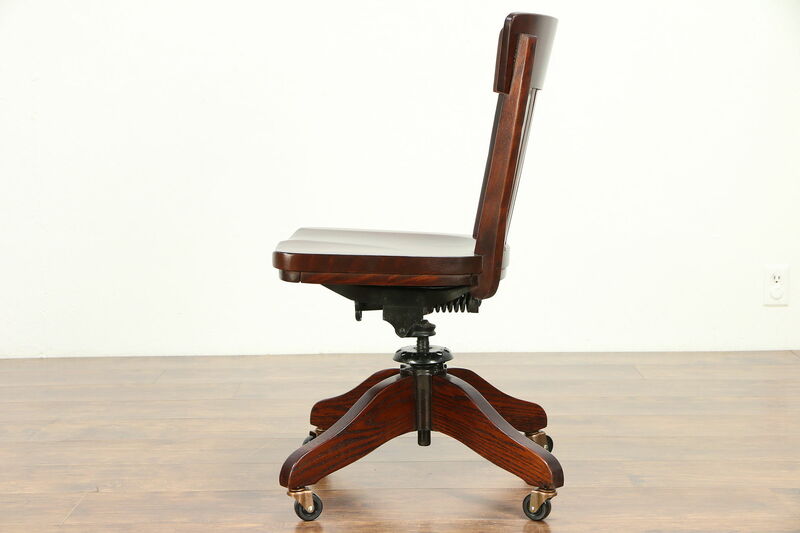 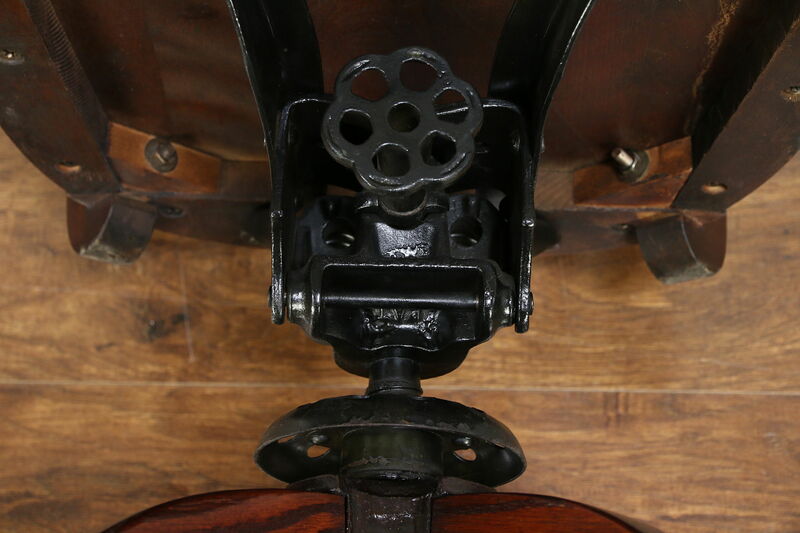 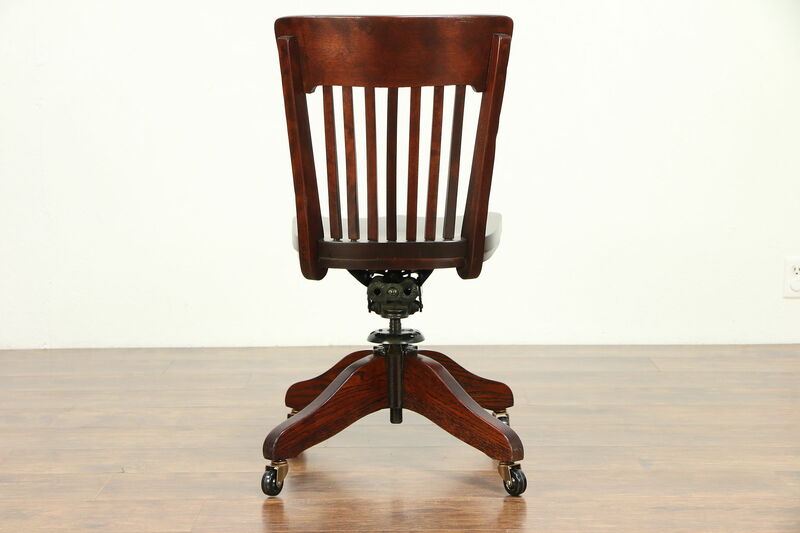 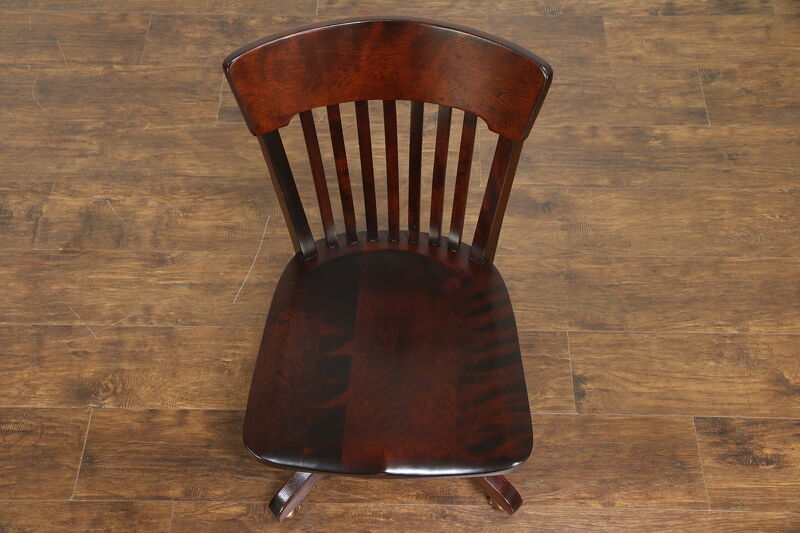 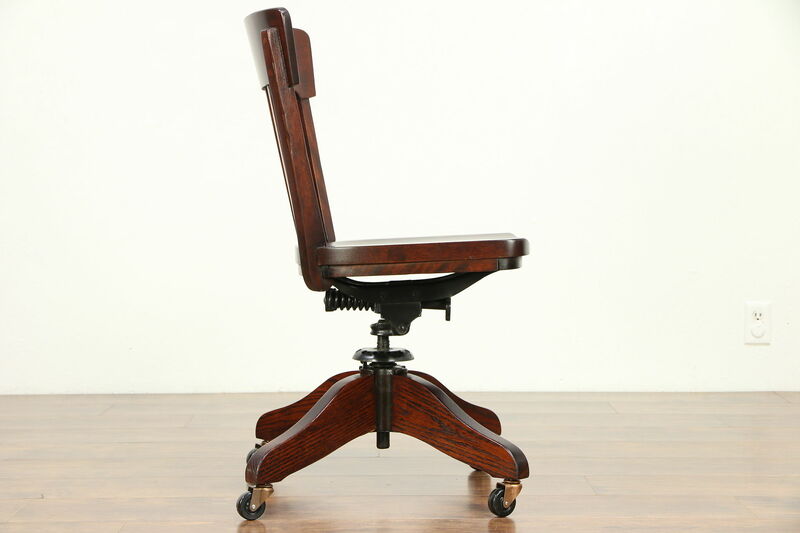 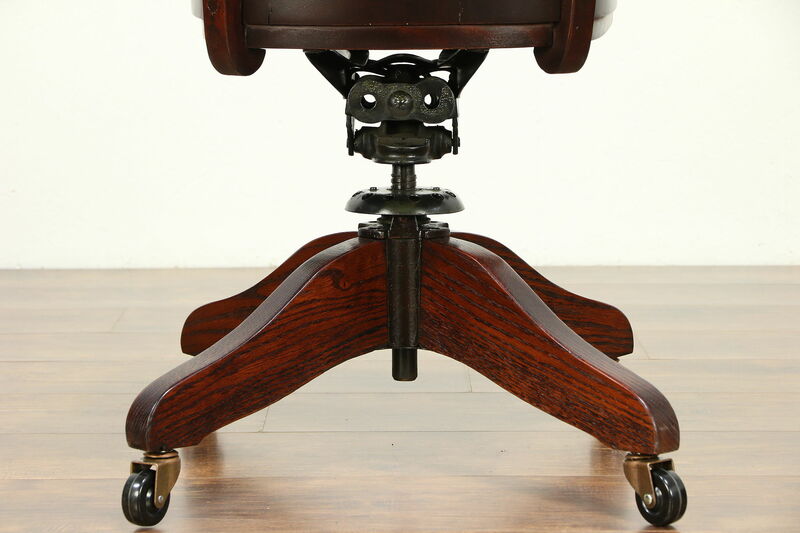 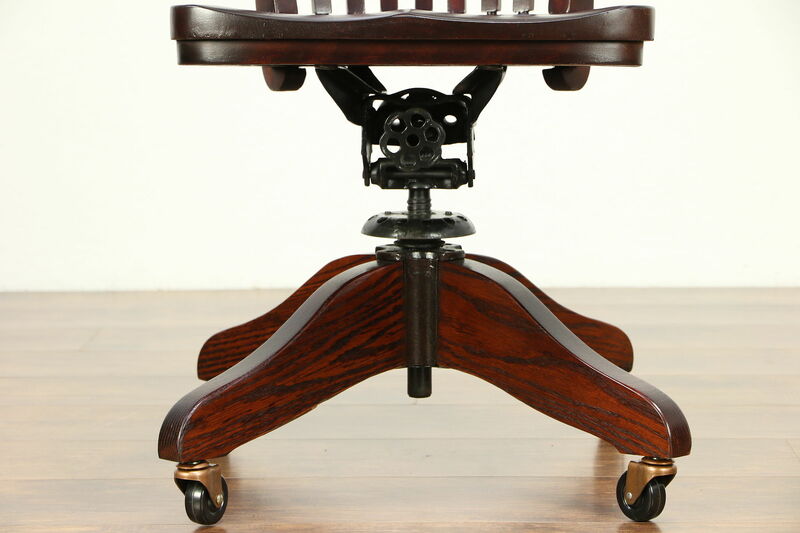 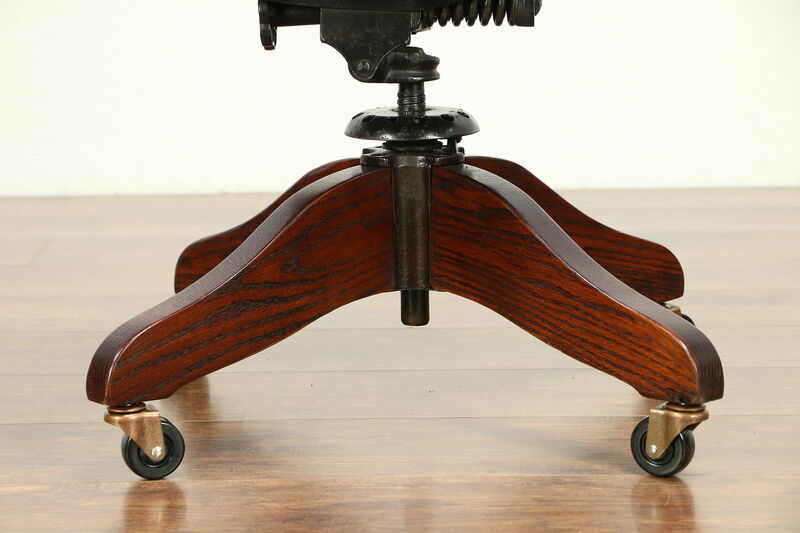 Dating from about 1915, a solid oak & birch swivel desk chair has an iron mechanism with adjustable height and tilt. 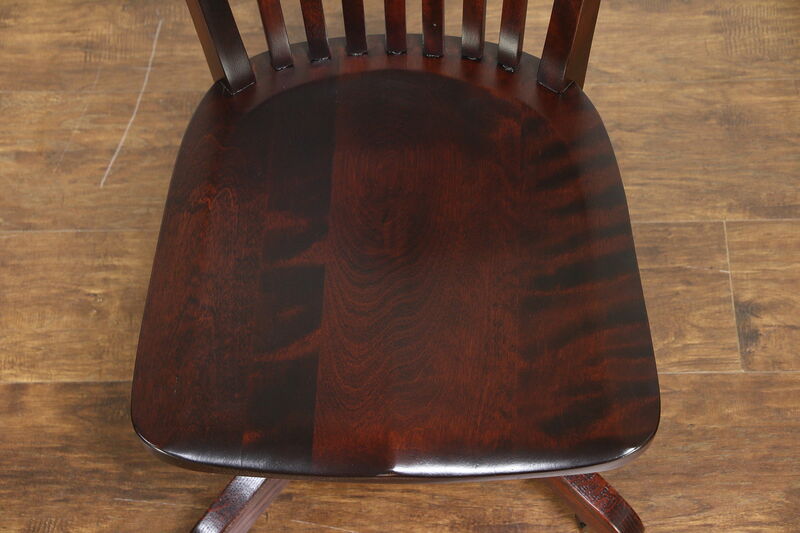 The restored finish is in excellent condition, preserving just enough mars for a little antique character. 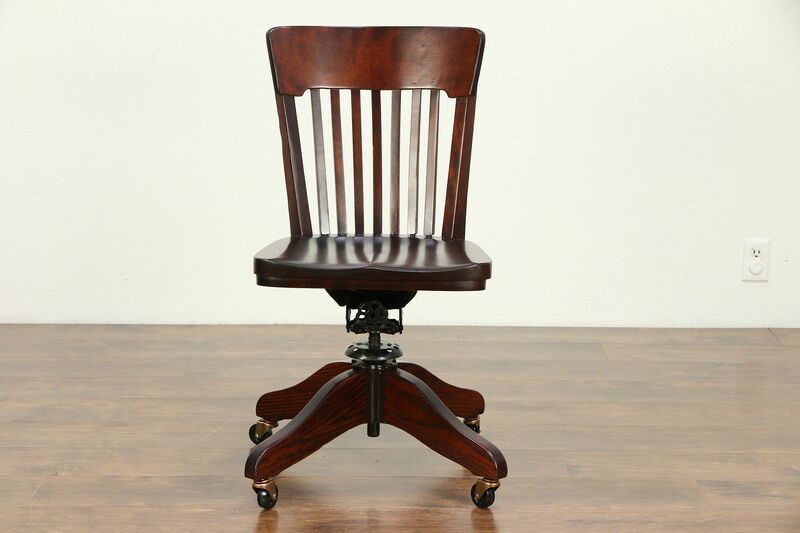 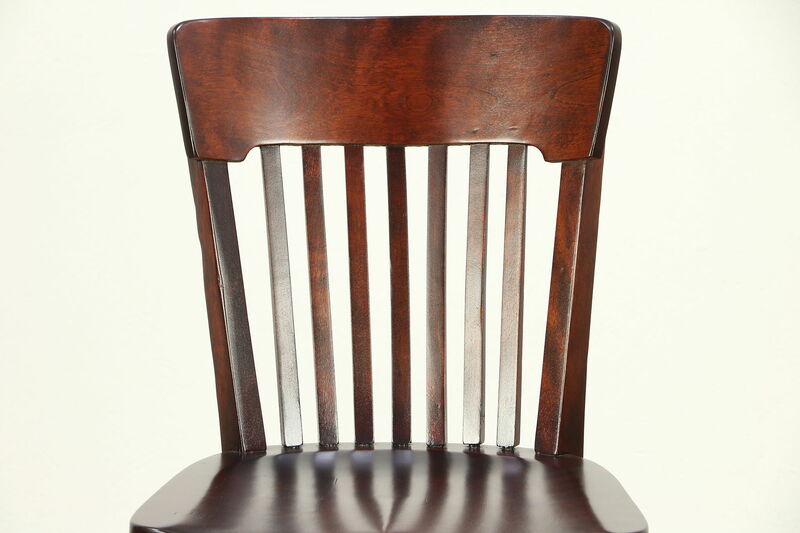 Reglued to serve another generation, this rugged American made office or library furniture is strong and sturdy. 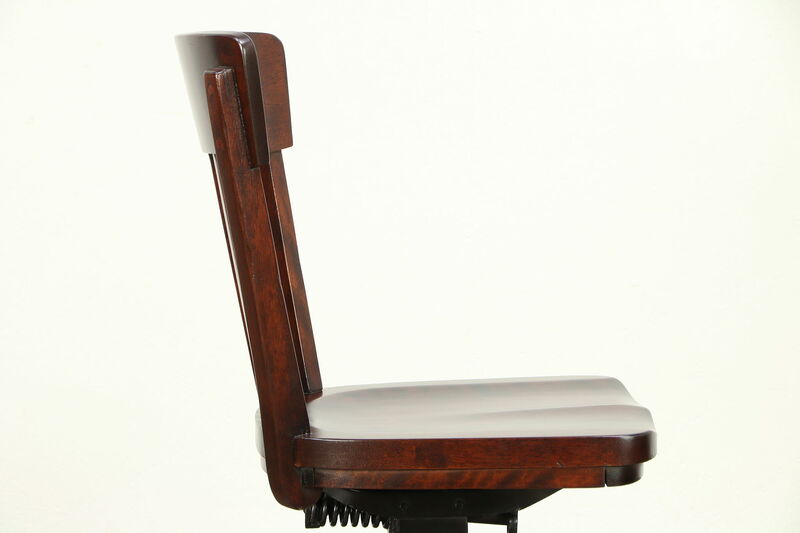 The curved back and sculpted seat are comfortable. 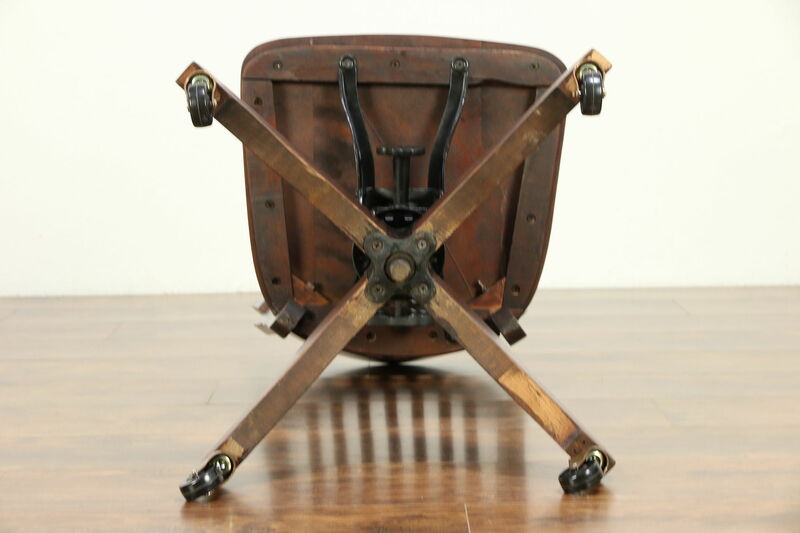 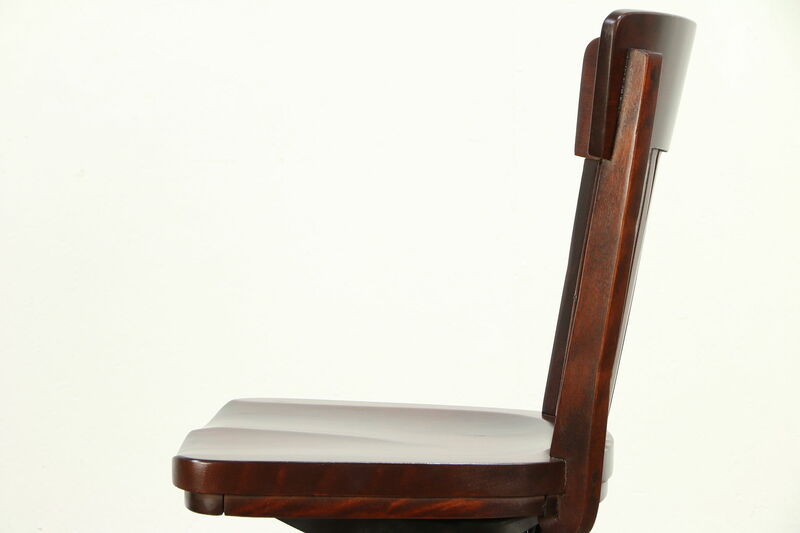 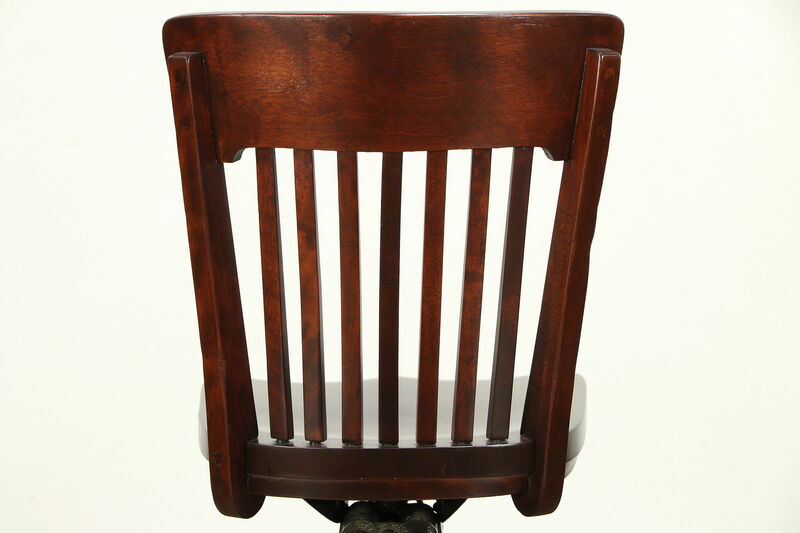 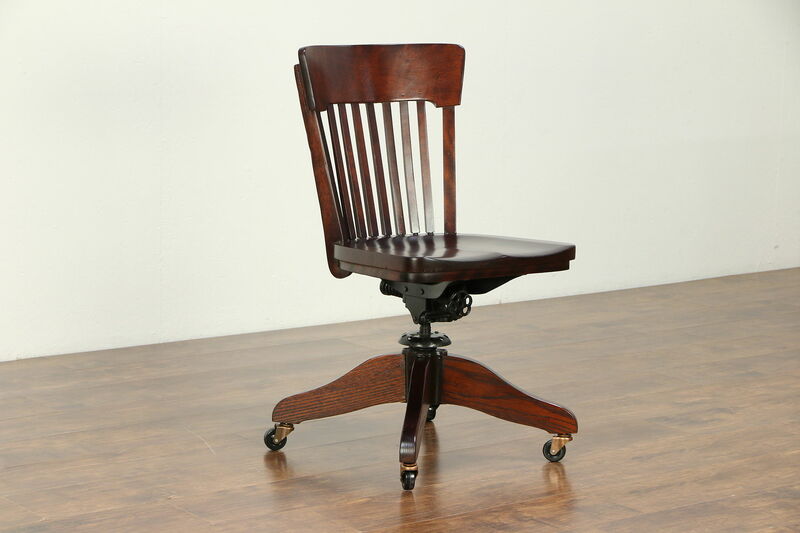 Measurements are 18" wide, 25" deep, 31" tall and the seat is 19" high and 16" deep as shown, adjustable up and down.